I really enjoyed reading Griffin Rising, a young adult novel by first-time author Darby Karchut. Not your typical boy-next-door, Griffin is an angel in training. At first, he has a cruel master who makes his apprenticeship a nightmare. Luckily, things turn for the better when Basil, Griffin's new kind mentor, enters his life. Thus begins Griffin's real adventure as he pretends to be what he's not - the boy next door - and mingles with humans, falls in love, and prepares for the trial of his life. First of all, I must say I loved the way Darby Karchut structured her story. The language flowed smoothly and was easy to read. I thought the journal entries were brilliant and added a very nice touch to the story. I'm actually a very picky person when it comes to the writing of a book! The dialogue was very engaging and natural, and made the pace move quickly. I've got to say, what I loved the most was the relationship between Basil and Griffin. You could really feel the bond they had just by reading their dialogue and journal entries. It really felt like father and son. Basil showed so much love and devotion for Griffin - it was really touching. I think this was the part of the story that got to me the most. Of course, the author also added just the right sprinkle of romance to heighten the suspense! Now, the dislikes. Wait a minute ... were there even any dislikes? Now that I think about it, I can't find any. 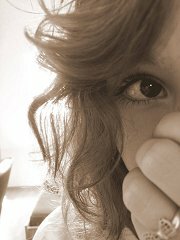 This shows how much I liked it. Like I said, I'm a very picky person when it comes to novels. I can't even remember the number of times I picked up a book and set it down after two pages. Griffin Rising kept me reading the whole way through. If you enjoy angel fiction stories, you'll definitely enjoy Griffin Rising. I heard that the sequel is coming out soon - I can't wait. 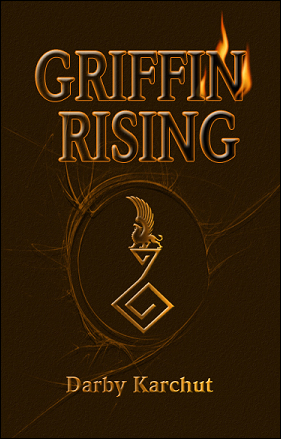 So it's pretty obvious what I'm going to give Griffin Rising: 5 stars! Go get this novel right now!